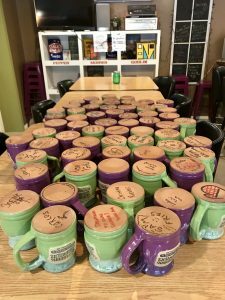 beer – Turning Waters Brewing Co.
As we reflect on the past year or so in building Hoppy Girl Brewing dba Turning Waters Back Alley Brewing Co, we want to say THANK YOU! Thank you to everyone who believed in us, doubted us, persevered with us, encouraged us and most of all fell in love with Ford’s amazing craftbeers. Thanksgiving Day 2017 was the first day we opened as an official craftbeer bar. It took until St. Patty’s Day weekend 2018 to graduate to the next level as a craftbeer brewpub, but still further when we were finally able to brew and sell our own craftbeer. What a wild ride from nearly seven years ago living in South Florida and dreaming of owning a brewery/brewpub. We just started our homebrewing on our electric flat top stove in our one bedroom condo in Florida and roll forward to today, we are “living the dream.” A HUGE thank you to John Biever, who did all of our construction and even named his own beer after the infamous Chubby Chipmonk, Pale Wheat Ale. 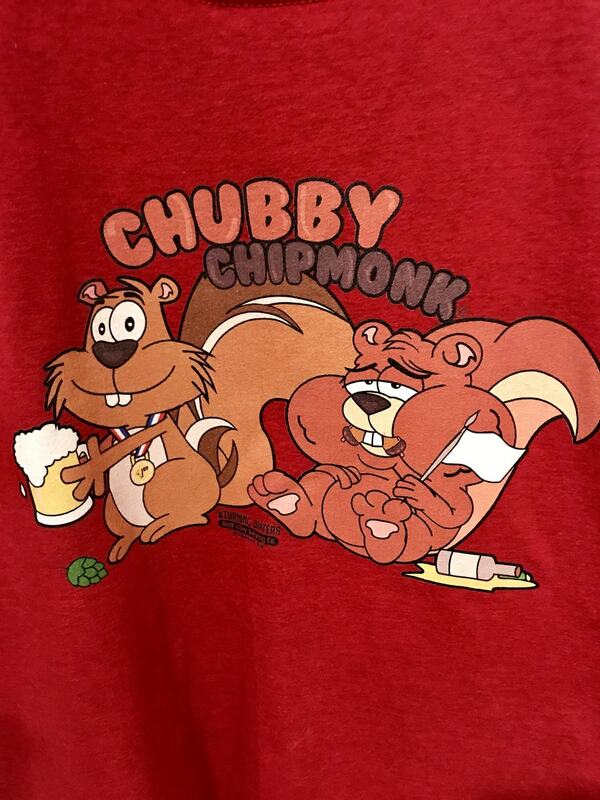 We now have Skinny Biever, which is a lighter version of Chubby Chipmonk. 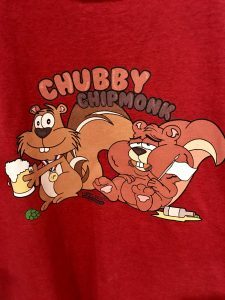 Stop in and learn how Chubby got the name and how we named many of our other beers. As we embark on our one year anniversary, we want to encourage you to enjoy all we have to offer. 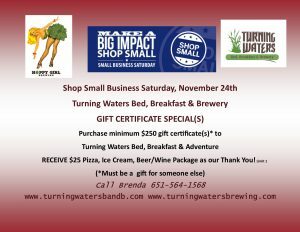 Stay at Turning Waters Bed, Breakfast & Adventure and enjoy having your personal brewpub in the backyard. We offer a 5 course breakfast and a complimentary glass of beer or wine with each night of your stay. During Shop Small Saturday, take advantage of our Gift Certificate Sale Offer. Call Brenda for details of how to get $25 extra goodies at the brewpub by giving the gift of a night(s) stay. Here is a list of our current events happening this week as well. Check out all the events at www.wabashamn.org or simply call us. Enjoy 2 days or stay for longer to explore the area of Wabasha-Kellogg and our neighbors on Wisconsin side. Turning Waters Back Alley Brewing Co is in the heart of downtown Wabasha is your home base where you pick up your taster glass and taster sheet. 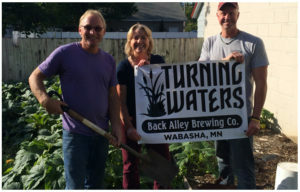 Turning Waters Back Alley Brewing Co is the first brewery in Wabasha since Prohibition. They not only serve their craftbeer, but they have a tap line up that you would expect in a large city like Minneapolis. Currently, they have 8 beers on draft from Oskar Blues Brewery, along with Surly 3DH, Tallgrass Brewery in Kansas City, Inbound Brewco in Mpls and Goose Island from Chicago. They also boast a nice lineup of wines from Vinocopia. Then you can make your way 6 miles south to Kellogg to The Front Porch Bar & Grill formerly known as Yahooligan’s for more sampling. Check out the newly renovated event space Heather and Andrew have created. 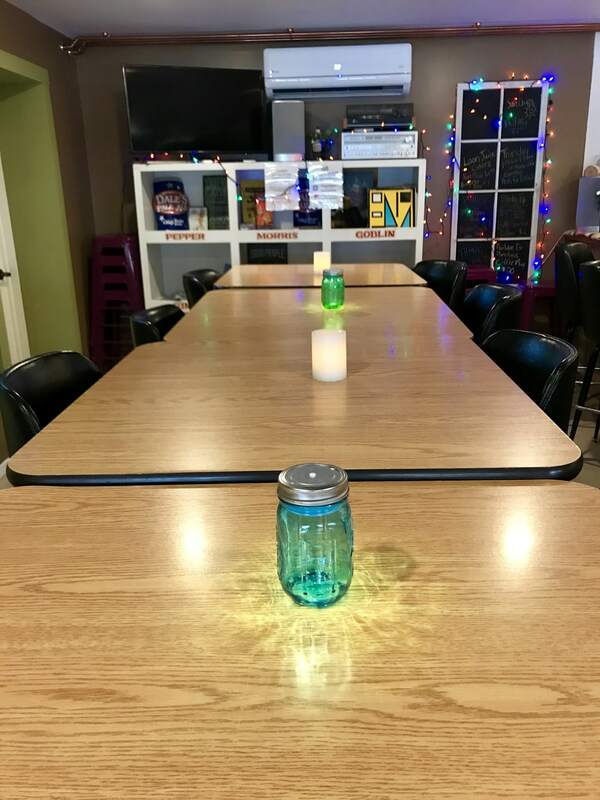 The fun isn’t over just yet, just over the bridge from Wabasha in Nelson is J&J BBQ and Catering, where you can enjoy some great BBQ while sampling some amazing craftbeers. How do we give back? 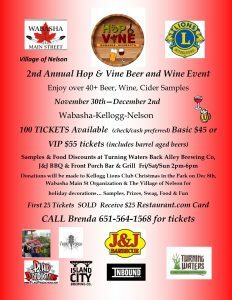 We share the proceeds with the Kellogg Lions Club for Christmas in the Park on December 8th, Wabasha Main St and Village of Nelson for holiday decorations and a tree lighting ceremony in Heritage Park in Wabasha on Friday, November 30th. Brenda & Ford Pearson are proud to announce they have jumped through all hoops over the past few years to become the FIRST Brewery Brewpub in Wabasha, MN, since Prohibition. Of course, there are the minor details like getting the hoses to arrive so we can brew on our brand new 3bbl STOUT tanks and of course more money to get MORE fermenters so we can have all your favorites like Chubby Chipmonk, Mango Tango Dble IPA, Midnight Oil Triple Black IPA, Everything But the Kitchen Sink Breakfast Stout (EBTKS), Joy of Almonds Russian Imperial Stout and don’t let me forget the infamous Salted Caramel Russian Imperial Stout. Yes, Sharonica our Strawberry Rhubard Ale and Sunset Saison, Chubby Blu Balls, Morning Chub and so many more that our over sixty mugclub members have sampled and enjoyed for years as #homebrew. Mark your calendar for Sunday, June 10th as we kick of Beer, Bikes & Brats with LIVE music from the JET to RIO, food, fun, leisure bike ride along the Mississippi River, bags/boards, GIANT Jenga and more….. 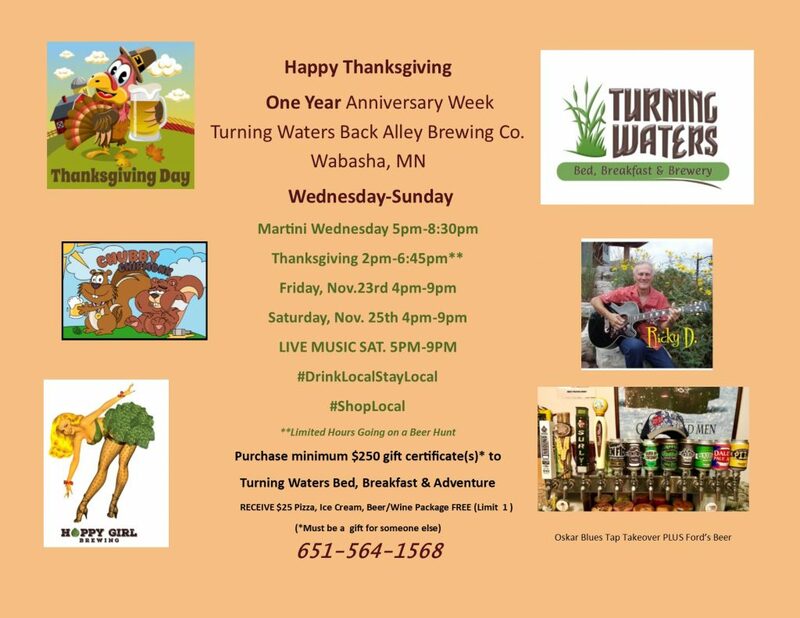 If you are traveling down the Great River Road Garage Sale Trail and stop into Wabasha, MN, then stop in at our sale at Turning Waters Bed, Breakfast, Adventure and Hoppy Girl Brewing dba Turning Waters Back Alley Brewing Co. We have a public restroom, refreshments for young and of drinking age. Hungry? We have pizza and ice cream and snacks for purchase as well. We are a craftbeer brewpub and specialize in brewing our own beer. Since we are still patiently, impatiently waiting for our brewpub license, you may only sample our beer that we brew (homebrew). It will give you a good idea that you will love what we have instore when we can sell our craftbeer. Wabasha will have many sales all over the city so give yourself time to enjoy our great river city and make plans to come back and stay with us for a few days and enjoy all we have to offer besides garage sales. Cheers and see you soon. Cheers! Our blog page is a work in progress. We are great brewers, but not so great in the tech area. We appreciate your visit and are happy to help you learn more about craftbeer. Are you new to the craftbeer scene? 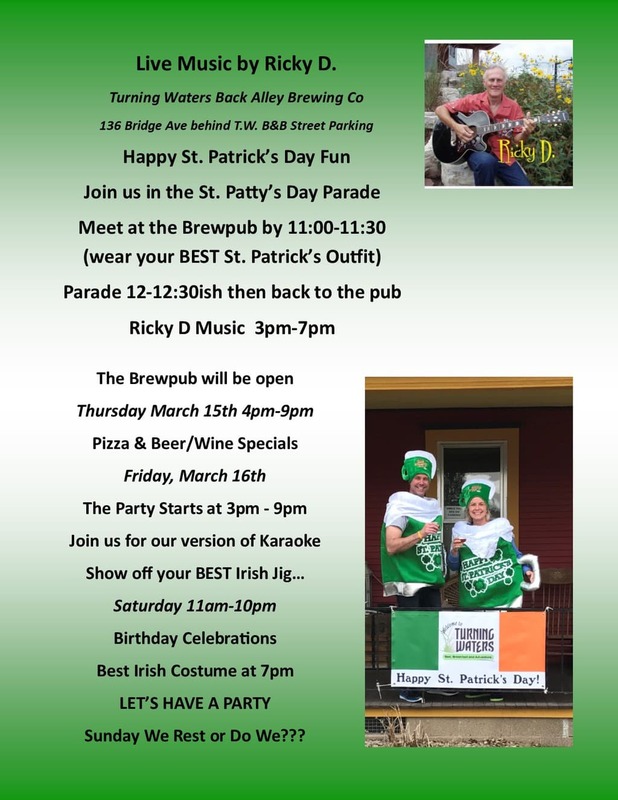 Did you know that Turning Waters Back Alley Brewing Co is the first brewery in Wabasha, MN, since prohibition. We have toyed with what to call ourselves and you may have heard about Wabasha Brewing, well that is located in St. Paul, MN, on Wabasha St. near the Wabasha Caves. We would welcome a visit from them and work together to make the Wabasha brand something to write home about. In the meantime, simply enjoy our process of building a top notch destination brewery pub in Wabasha, MN. Home of the Grumpy Old Men Movies and yes February 2018, Ford & Brenda created the Putz-Moron Black & Red Ale. 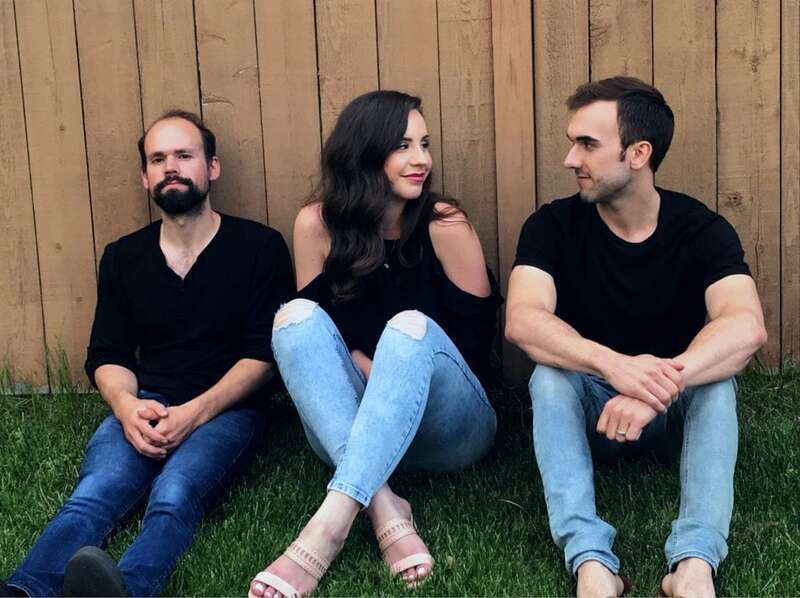 We encourage you to come and enjoy all there is to do in Wabasha-Kellogg, MN PS, I mention Kellogg, MN, because that is my hometown where I grew up. Yes, I am a local HoppyGirl. #drinklocalstaylocal at Turning Waters Bed, Breakfast and Adventure, Hoppy Girl Brewing, LLC dba Turning Waters Back Alley Brewing Co. We will see you in the back alley soon.